Situated between the North and Middle Forks of the American River, and just a short drive from I80 in Auburn, Foresthill is a peaceful world all its own. Still a little removed from the mainstream, the area was first discovered during the gold rush era of the 1850’s. Foresthill today provides wonderful outdoor recreational opportunities in the nearby expanse of the Tahoe National Forest. Beautiful lakes, and mountains provide for, horseback riding, biking, hiking and boating. 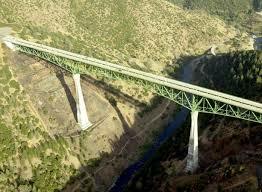 Access this area easily thanks to the modern Foresthill Bridge, that spans the American River.